The Genie garage door opener is a reliable addition to your garage. One push of the remote control button and your garage door opens, inviting you in from the inclement weather. The door opener also has a light in front of the power head to illuminate the garage for a few minutes. Just like any other light bulb in your home, you will have to replace this bulb from time to time. Set a step ladder under the power head of the garage door opener so you can reach the power cord and the lens cover safely. Climb the ladder and pull the power cord from the outlet in the ceiling. Press the two lens tabs in to disengage the lens from the power head. The lens tabs are below the opener rail on the upper corners of the lens. Pull the lens cover straight off of the power head. Unscrew the light bulb from the light socket. 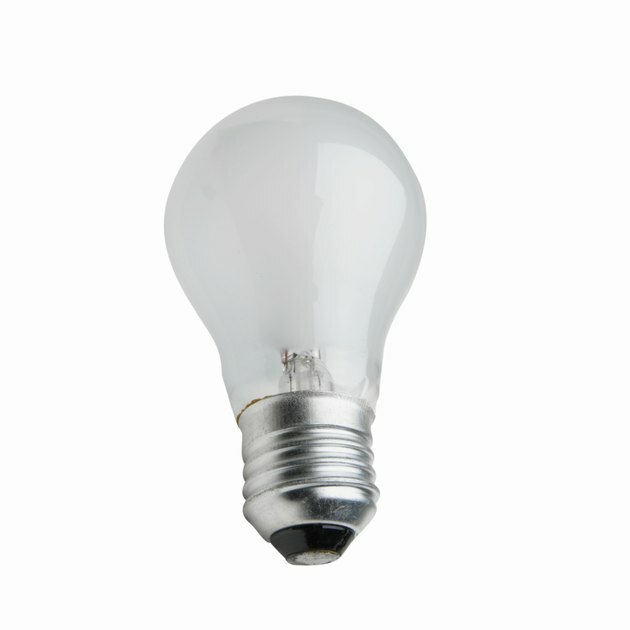 Use a new 60 watt bulb to replace the defective bulb. Do not use a short neck bulb. Screw the new bulb into the light socket just as you would a regular lamp socket. Slide the lens cover back over the front of the power head. Push the lens cover in until the locking tabs engage the top corners of the lens cover. Plug the Genie garage door opener power cord back into the ceiling electrical outlet.